My CPA said I can give away $14,000 to my children every year as an “annual exclusion gift”. That’s Ok right? I want to address this question now because many people make “annual exclusion gifts”. Imagine two worlds. You have to know which world you live in to understand if the CPA’s advice is relevant, or if it is more like the clicking and smacking sound of an alien from another world. First there is the world of BooKoo. CPA’s, financial advisors, and their clients who have a net worth greater than $5,450,000 populate this world. If you live in this world you are concerned, rightfully, that your children will have to pay a 40% estate tax at your death on the portion of your wealth that exceeds $5,450,000. In this world keeping estate taxes low is a priority. Members are often not as concerned about paying for their long term care costs. Each Member can pass $5,450,000 in wealth without paying tax. This is your “credit”. If you exceed your credit you pay a 40% tax on every additional dollar transferred. The IRS has to keep track of how much of your credit you use during your life so they can figure out when it is time for you to pay them. To keep track of your credit, the IRS requires that you file a gift tax return when you give more than $14,000 to someone during the year. So, If you give your son $20,000 you must file a gift tax return. Of the $20,000 given, $14,000 does not count (the annual exclusion) against your credit but the additional $6,000 you gave reduces your remaining lifetime credit from $5,450,000 to $5,444,000. So no tax is owed yet, and you can still transfer $5,444,000 more without paying tax. If you don’t have another $5,444,000 then you are not a member of BooKoo. If your assets are less than $5,450,000 then you are in the world of Not-Quite-So-Much, where people disregard advice intended for BooKoo and instead focus on their own priorities such as being able to get help paying for long term care and possibly even preserving some assets for the security of loved ones. Medicaid’s Long Term Care Programs and the Veterans Administration are payers of long term care. Neither of these programs recognize an annual gift exclusion. If you mention the $14,000 annual gift exclusion they will, correctly, look at you as if you are from another world. 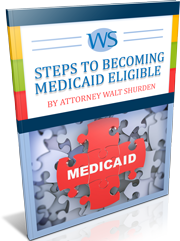 Medicaid and the Veterans Administration will both soon require you to report all gifts made within their respective look-back periods. Gifts made will result in a period of ineligibility. So if you are a member of Not-Quite-So-Much and you make an annual exclusion gift to your son of $14,000 every year then when you become frail and need expensive long term care you will be denied help. The CPA’s advice is not for you.